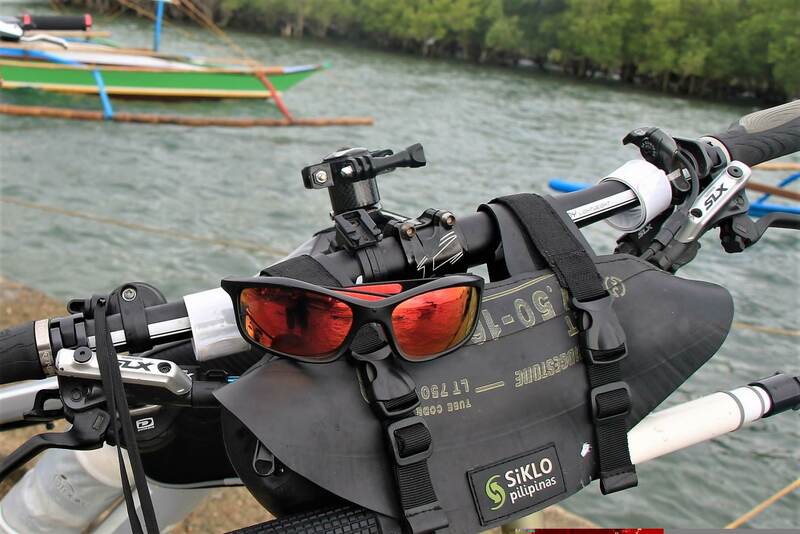 Siklo is a Pilipino word which means "cycle" and Pilipinas to denote that it is made by happy folks in their tropical sun, picturesque islands, and 'admiring the typhoon' way of life. It is in this setting that the brand was conceived. So much can be read and heard about passion, missions, and campaigns regarding climate change issues and environmental concerns. 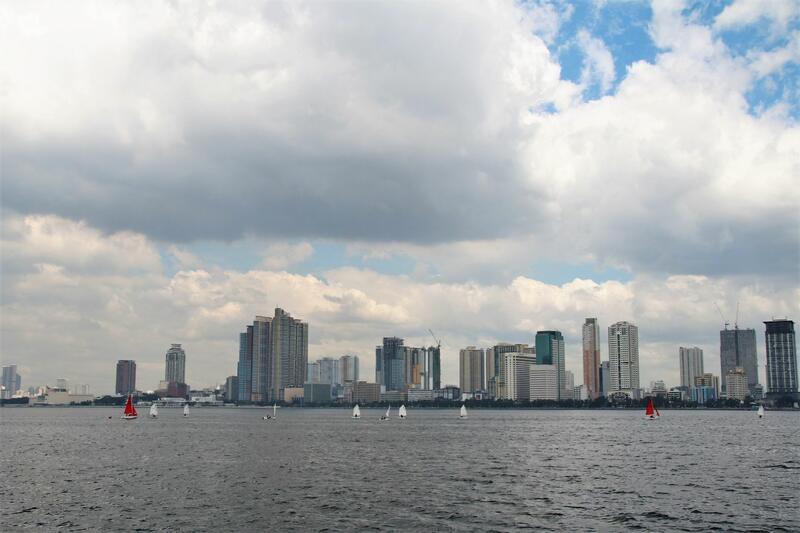 We share the same sentiment as advocates for eco-ethical lifestyle. We are stoked by the idea that re-purposing is a win-win garbage solution for everyone. 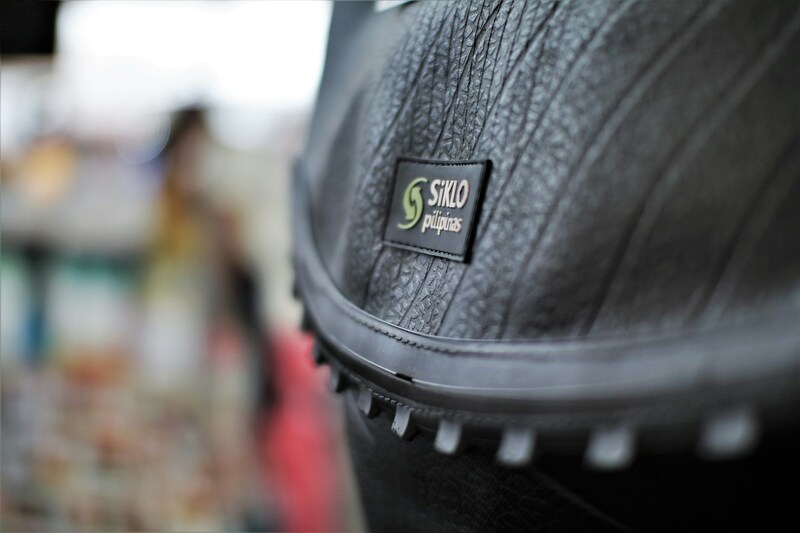 Siklo upcycled products have soul because they are made by hand. Passion is next to attention in the making of every piece. Like fingerprints, no same design items are identical. Each product has its own unique character and individuality. With such traits, wearing a Siklo bag makes you feel sexier. 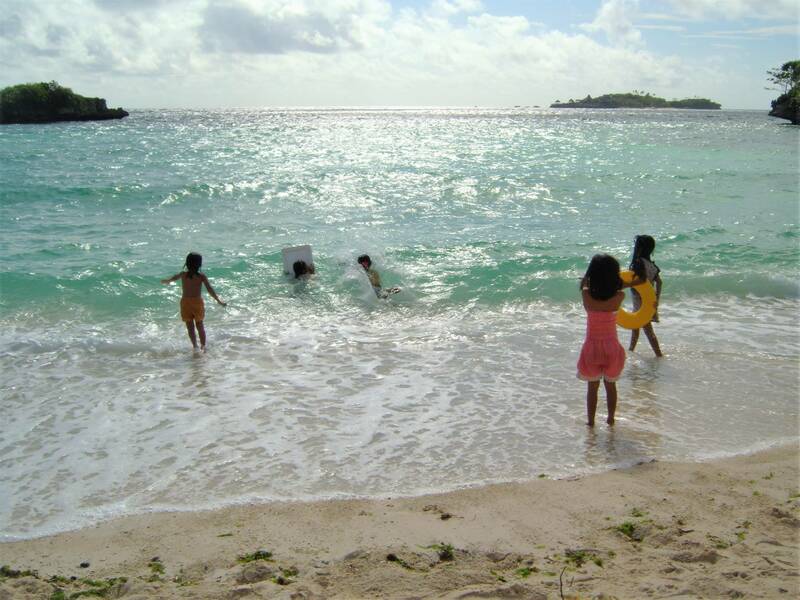 Years back, founding couple Lyndon Ecuacion and Clarice de Villa-Ecuacion in their typical backpacking adventures to islands around the Philippines, discovered a solution on protecting electronic devices, and cameras using "interior" - local name for inner tube, because back then, dry bags were not yet widely available. The upcycled inner tube served them well. 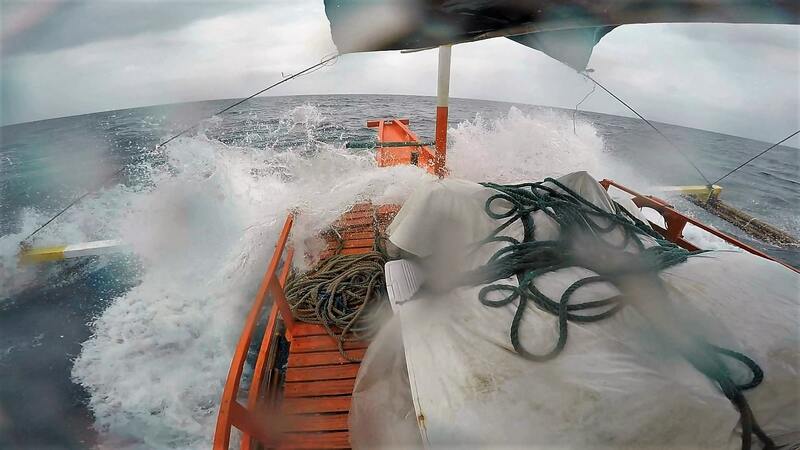 Waterproof, it beats the waves and rain crossing the islands on outriggers and tough enough for a rugged island lifestyle. By and by, it became a sustainable eco-ethical enterprise as conscientious consumerism starts trending. 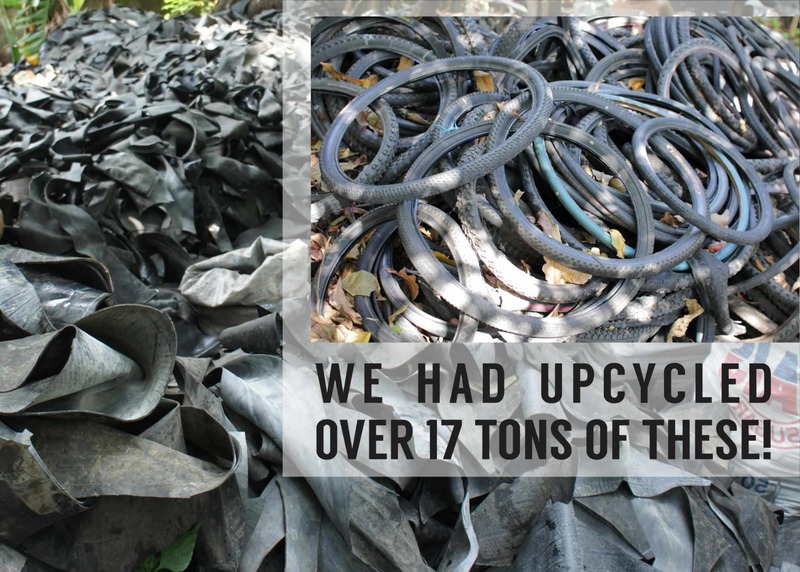 It was established in 2012 and overtime had upcycled over 17 tons of discarded tyre inner tube. 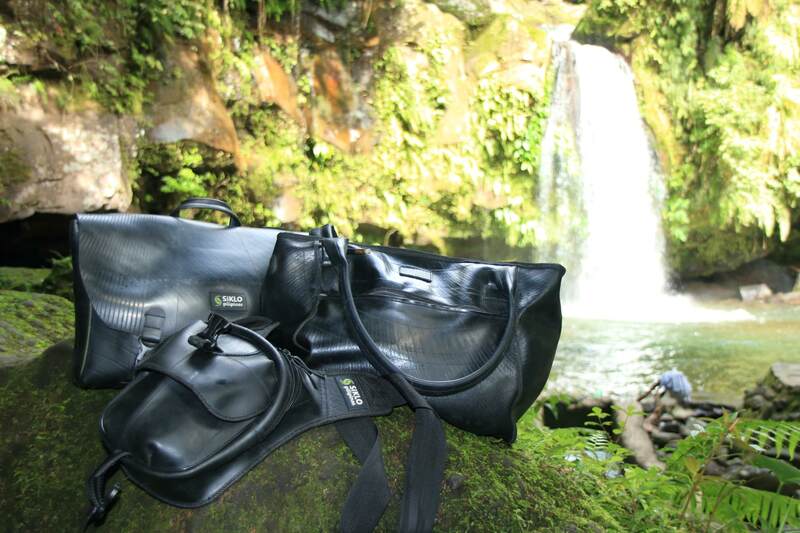 Island backpacking also evolved into island bikepacking where some Siklo designs were tested. Laid-back and simple characterize Siklo bags.